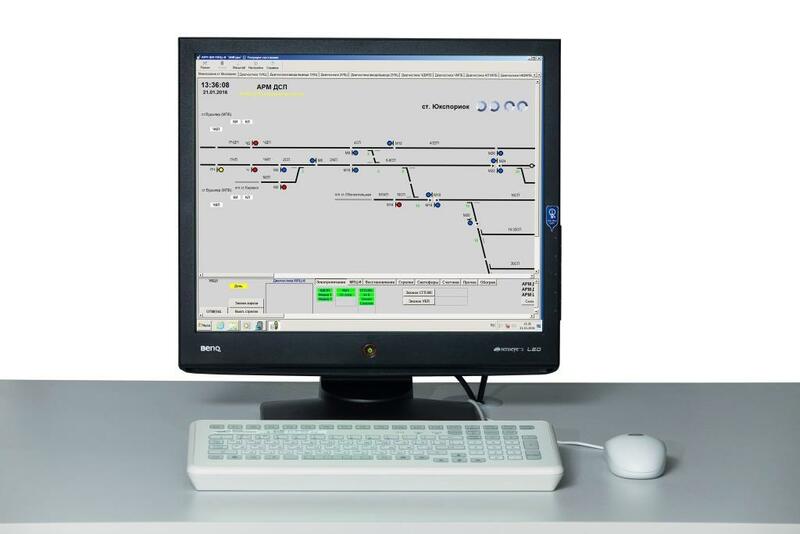 MPC-I executes all interlocking functions, required for safe train traffic control both at station and railway line. 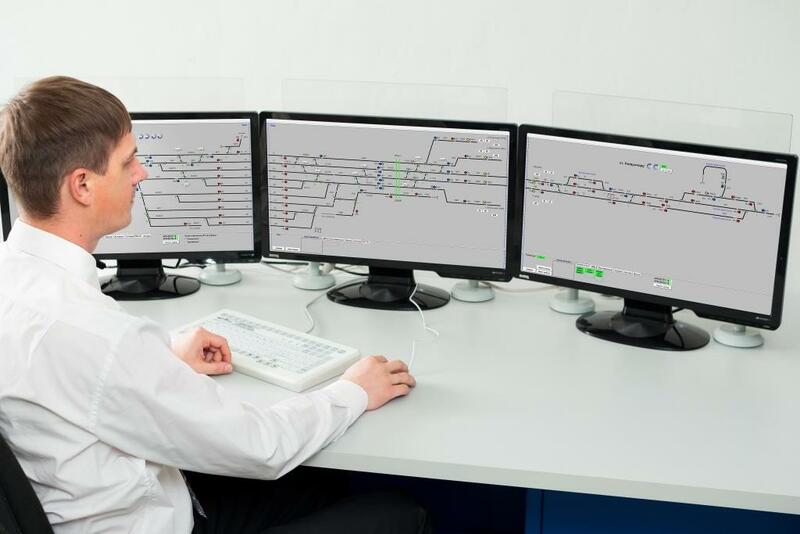 MPC-I executes all interlocking functions required for safe train traffic control both at station and on railway line. 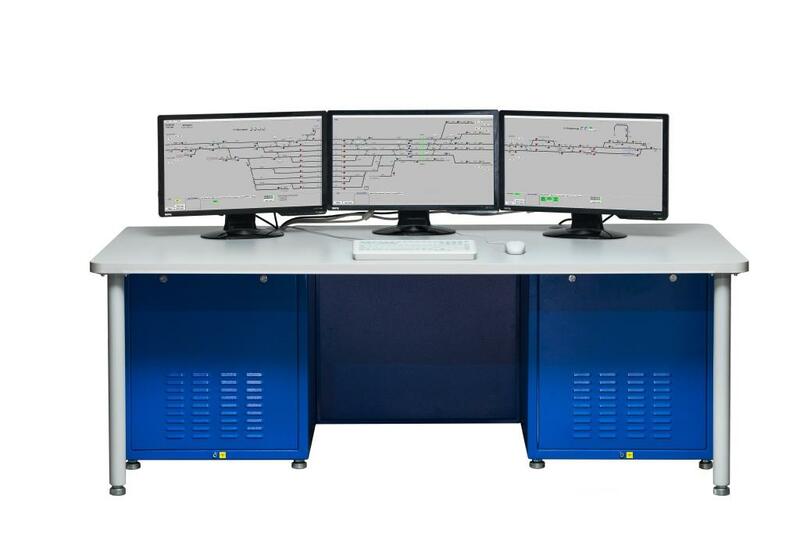 based on soft and hardware complex of MPC-I it is possible to make common train traffic control center on the section with remote monitoring, integration with CTC and diagnostic-and-monitoring system, connection with radio block centers and development of intellectual functions. program integration is provided by computing complex using client-server structure. Due to that fact, command information systems of any configuration and complexity are developed. arrangement of multi-level hierarchical control systems as zone-station-section-railroad with possibility of prompt transmission of control to the relevant level if necessary. 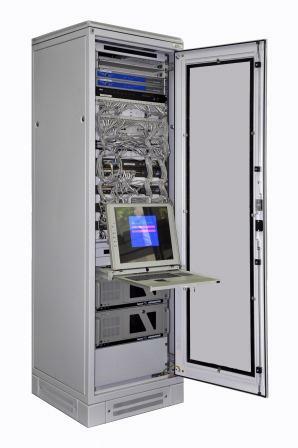 Based on in-built telecommunication cabinet units and channel forming equipment LANs enable to arrange joint towers and posts, distant working places, centralized sections and other configurations. MPC-I executes functions of in-built archival system with 100% redundancy and independent from operability of any workstations. MPC-I is assessed for compliance with SIL 4. 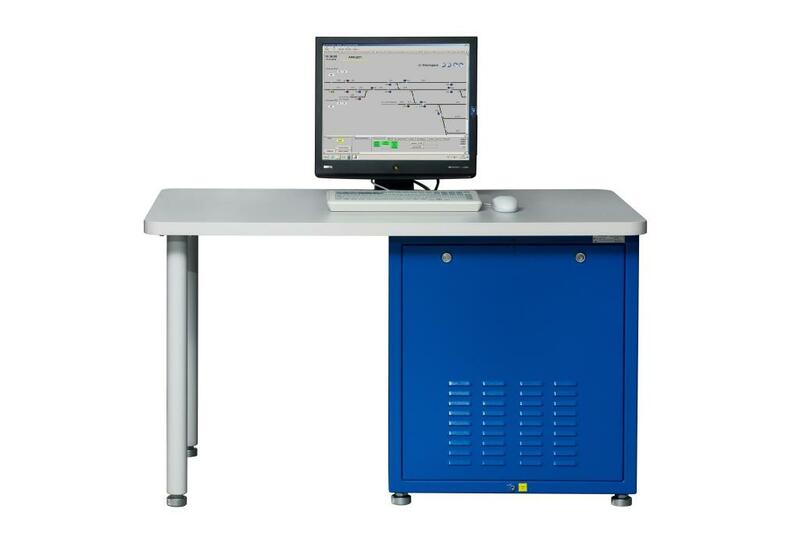 In-built automatic subsystem for measuring insulation resistance, tower voltage and currents enable to use MPC-I for monitoring of signalling equipment parameters (including remote equipment). Measuring subsystem is implemented depending on the object and based on method of centralized data acquisition by modules of interlocking control unit or distributed data acquisition by special low-sized devices of KID series. MPC-I CAD is developed for design engineers and customers. 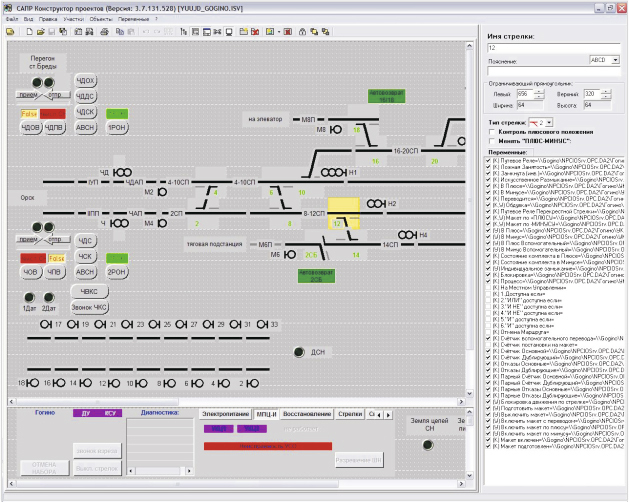 Due to that, design effort can be reduced in several times, trained staff of the customer can upgrade and make corrections in MPC-I software in case of any changes in the station layout. Besides, safety risks are reduced due to decrease of human factor effect. 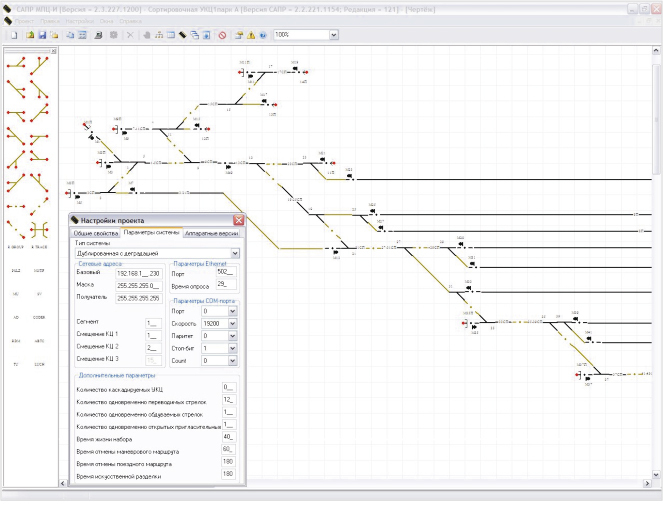 self-maintained adaptation within the limits of upgraded part of existing project using MPC-I CAD-software in cooperation with service center of Promelectronica. Adaptation of MPC-I is rather easy due to user-friendly CAD interface, even it requires some special knowledgebase and responsibility. MPC-I is one of the most compact interlockings executing wide range of functions. If there is no possibility to construct tower building, MPC-I equipment can be placed in transportable containers and released rooms of existing buildings. 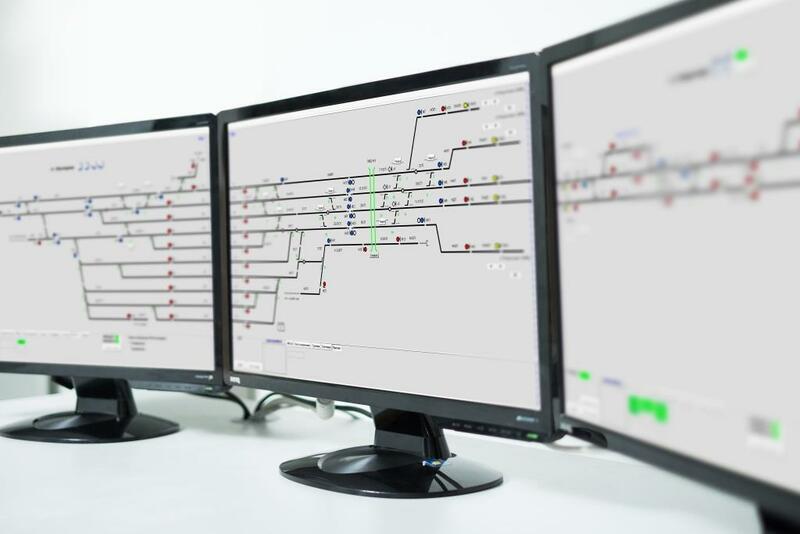 objects of interlocking (relay circuit equipment, axle counting, light-signals, electric drives, shunting columns, check station panels and similar wayside equipment produced by Russian plants), signalling cable network, object control units and interface relay schemes for its control. overall number of points per interlocking system: unlimited. 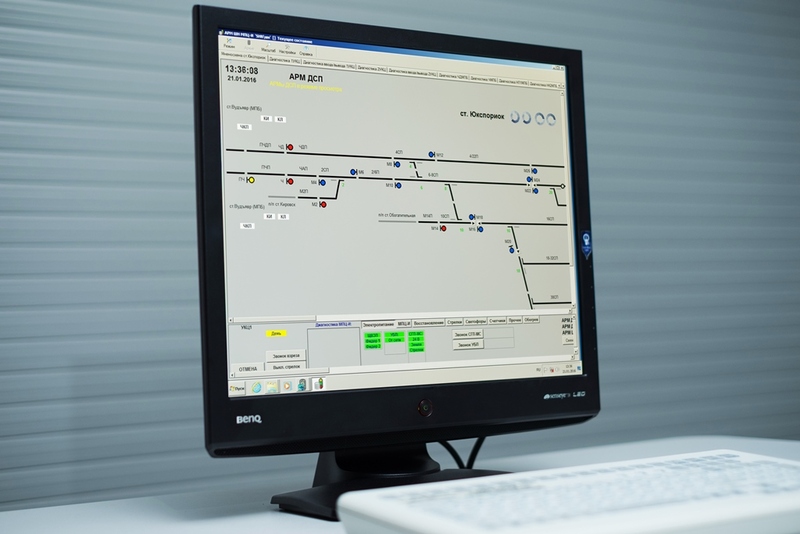 MPC-I is unified for application on all small, mid and large-sized stations (road junctions, separate posts and shunting loops) with train and shunting movements of main line and industrial railway transport. It is convenient for design and maintenance of system. Maintenance staff does not require to re-train after overpass to other stations and production period and supply period is substantially decreased as those do not depend on the station size.